Naymz, a web profile aggregator that I highlighted previously, offers some interesting reputation metrics services. While you could setup web alerts via a number of services Naymz aggregates these services into one dashboard. 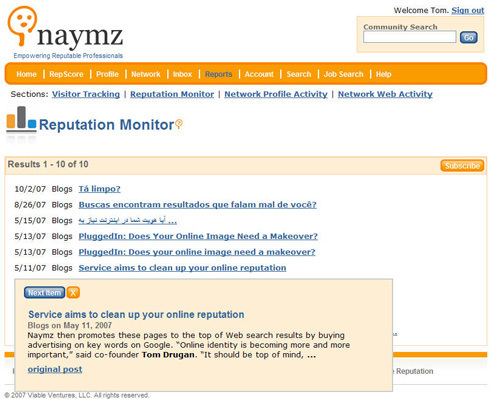 All Naymz members have access to "Reputation Monitor," which can be found under the reports section. The "Reputation Monitor" is simply a feed of recent web content (blog posts, news, social network profiles) that contain your first and last name. It helps users keep an eye on their online reputation all in one place. 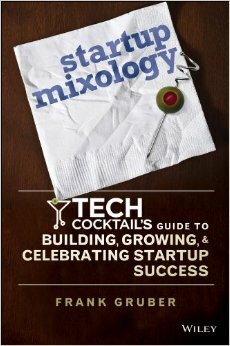 Unfortunately, if there are many people with your same name it may not work so well as the results may not ALL be about you. The feed can also be subscribed so you can monitor it through your RSS feed reader or personalized homepage. In talking with Tom Drugan of Naymz, they plan on building more around this tool in the near future including alerts via email. 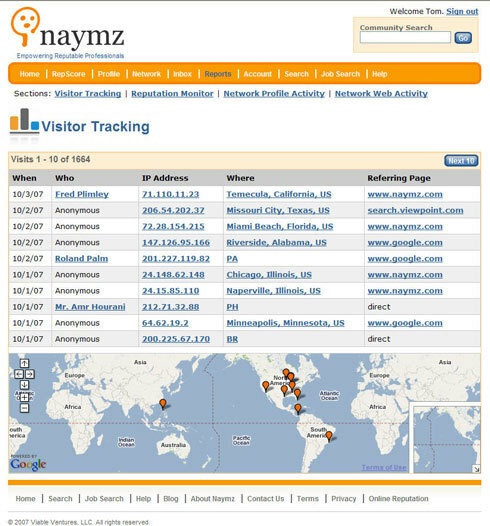 Additionally, Naymz offers premium services which give users access to even more metrics and visitor tracking data as well as offers users first page placement of your Naymz profile via sponsored advertisement links on Google, Yahoo and MSN. Finally, Naymz provides premium plus services which helps users manage and control their online reputations through positive search engine optimization efforts.